If you're lucky — and not rich, nor a professional — you'll renovate a home once, maybe twice in a lifetime. That's not a whole lot of experience to draw from, which is why it often pays to listen to someone who's done it before — namely, your contractor. Here are six times contractors really saved the day, according to some friends of Hunker. 1. When gold isn’t great. "I wanted brass or gold fixtures in my guest bathroom," says Laurie Grossman, Hunker's editorial director, who is putting the finishing touches on her Del Rey, California, remodel. "My contractor highly recommended we didn't do it because it's challenging to keep clean and also, it might not stand the test of time. Like, in five years I'll be lamenting the fact that we didn't go classic with chrome or even black. I'm so glad I listened because I'm already over the gold look." 2. When it just doesn’t match. "I also wanted shiplap in my guest bath because I saw so many cute pics of it on Pinterest and got caught up," says Grossman. "My contractor reminded me that there was nothing in my house that even remotely reflected shiplap style, and that it wouldn't match the vibe or flow. He was right." 3. When black isn’t best. "We liked the idea of painting one of our desert cabins black," says Brett Woitunski, who heads up product and design for Leaf Group's media division. "Our contractor (who is local to the area) strongly advised against it because of the heat absorption in the summer. On really hot days, it can be difficult to keep the cabins cool even though they are painted white. Black would have been even hotter!" 4. When it doesn’t pay to build something new. "I envisioned a beautiful outdoor pergola over the back patio area," says Brittany Carr Seely, who has renovated several properties in the Los Angeles area. "My contractor kept telling me it would be a lot of money and wouldn't even shield the sun when it was setting. He was right and I listened to him. We didn't do it and the back patio still looked fabulous once it was all staged." 5. When it doesn’t have to match exactly. "I felt like every window, cabinet, and door needed to be symmetrical on the wall," says Jonathan Grossman, who is married to Hunker's aforementioned editorial director. "Our contractor said we should make decisions based on our usage and not on whether the math works out. Good call! I hardly ever notice any of the non-symmetry, but I sure enjoy the ergonomics of the cabinets and windows." 6. When your wife is right. Okay, we're cheating here. In this case, it wasn't the contractor ... it was the (very smart) wife. 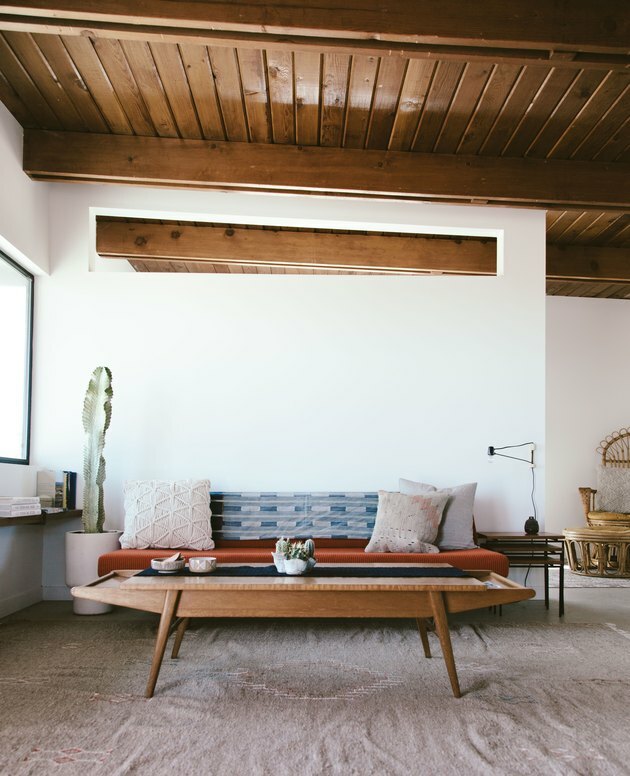 "The best, most thoughtful detail of the renovation was my wife's idea — and I wasn't convinced when she first brought it up," says Paul Anderson, Hunker's creative director, who renovated a cabin in Joshua Tree. "The cabin was a single room so we built a divider wall to delineate a bedroom space. In that wall, there is a cut-out at the exact pitch of the roof. It manages the light that comes into the bedroom in the morning, and does the same for the living room in the evening for sunsets. In addition to the function, it added an architectural element that made the entire feel of the cabin change."